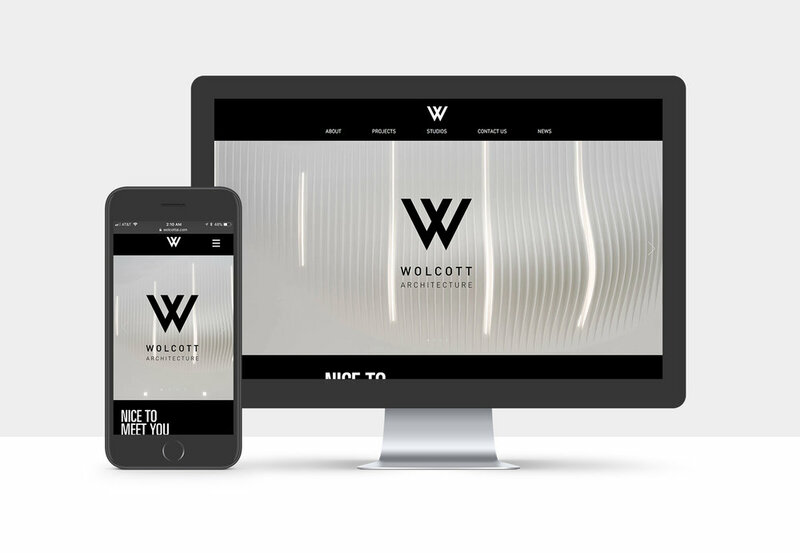 One of my main jobs while interning at Wolcott Interior Architecture was to redesign their website using their new brand guidelines. Being a small firm, they wanted to show personality but also professionalism. The site is a one page scroll format, with the exception of the team page. The design is built to give emphasis to the beautiful photographs of their work. 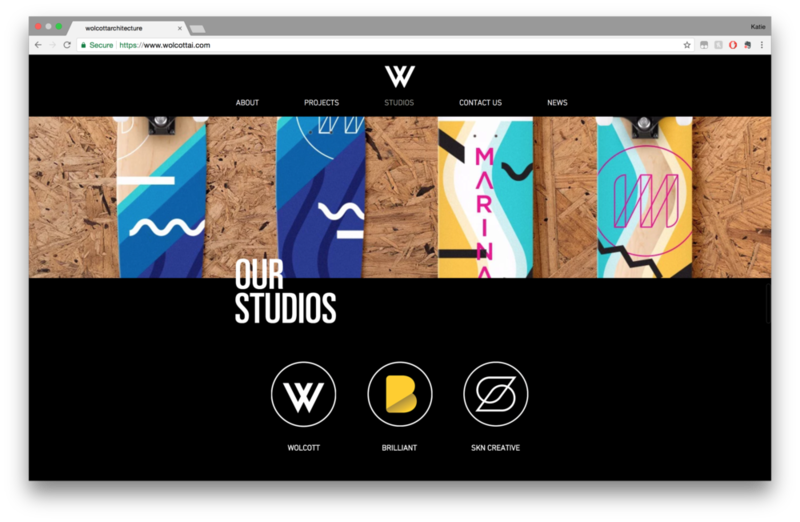 The site has a black background and simple type to give off a professional vibe, but also includes simple animations and casually-toned copy to show personality and approachability. For the home page imagery, I selected detailed shots instead of typical wide-angle architecture photos to add visual interest to the site right off the bat, while also differentiating Wolcott's site from other firms'. The way these images interact with the logo in a graphic way also nods to the firm's branding design studio. The website was built on Wix and can be viewed at www.wolcottai.com.